As with everything in life, prevention is better than the cure. This is why everyone should know how to prevent carbon monoxide poisoning. The best thing you can do is make sure you have everything in place to stop carbon monoxide from becoming a problem at all. First and foremost, you have to make sure you and those around you understand what the risks of carbon monoxide poisoning actually are. This means that you share information that you have with your friends, members of your family, colleagues and anyone else you can come into contact with. Remember that knowledge is power and with power comes responsibility, so if you know something, you have the responsibility to tell others. Once you understand the importance of sharing information, you need to start gathering information. How to prevent carbon monoxide poisoning is all about knowing where the gas is likely to come from. This is particularly important for domestic properties, because quite a big number of appliances could be the culprit. This is why you should always ask a professional to install any appliances you have that use gas or other sources of fuel. You should also have them serviced and maintained regularly, yearly at the very least, as this will make sure not only that they work safely, but also that they work efficiently. Wherever you have appliances that use fuel, you should have proper ventilation installed as well. 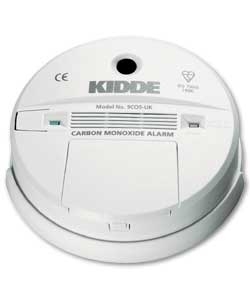 There are a number of monitoring devices that you can install that will allow you to detect rising levels of carbon monoxide very quickly. Last but not least, make sure you know what the signs and symptoms of carbon monoxide poisoning are, so that you can recognize it when someone may be affected. If you suspect poisoning, telephone the medical emergency services immediately. There are two main ways to measure levels of carbon monoxide. Because we are looking at how to prevent carbon monoxide poisoning, the most important method is to know how to detect it in the environment. However, the other way is by measuring levels in the bloodstream of an affected person. Measuring levels of carbon monoxide in the blood is usually done in a hospital setting when someone comes in with suspected poisoning. The medical term is carboxyhemoglobin, which will be present in the blood if poisoning occurs. This is what makes it impossible for your blood cells to continue to move oxygen through the body to all the vital organs. However, as prevention is better than cure, measuring levels of carbon monoxide in the environment is often more important. Most DIY stores and local hardware stores will sell carbon monoxide monitors at very good prices. If you want to know how to prevent carbon monoxide poisoning, this should be the place to start. These monitors emit a very loud, high pitched noise when levels of carbon monoxide start to rise above a certain level. They can also have a digital display, so that people who are hard of hearing are able to be alerted too. These alarms measure how many parts per million are in each unit of air. There are three main types of detectors. If you want to know how to prevent carbon monoxide poisoning, you may want to study these three options so that you choose the best one for you. Let's look at them in more detail. First, there is the gel cell, or chem-optical technology. Some know this as biomimetic technology. Here, a sensor is included that simulates hemoglobin in the blood. Once these levels start to change, the system emits an alarm. Next, there is the electrochemical alarm. This converts any carbon monoxide it detects into carbon dioxide. This then creates an electrical current, which measures how concentrated the monoxide is. Most people who want to know how to prevent carbon monoxide poisoning opt for this particular tool. However, these run on batteries and you must have them checked every year to make sure there is still sufficient power available. A good battery should last around 5 years, but if you actually have high levels of carbon monoxide in the home, they won't last as long. Lastly, there is the semiconductor. These use a tin dioxide type of technology, which lets them detect levels of carbon monoxide. They are different than the other two, because they don't need to have any parts replaced at different times. Regardless of which detector you purchase, you must fully read and understand the manual that came with it. The manual will be full of information not just on how to use it, but also on where to place it and what you should do in case the alarm actually sounds. Furthermore, it will tell you what sort of levels of carbon monoxide is acceptable and at what level risks start to occur. It should also detail what the risks are, which will help you recognize the signs and symptoms of poisoning. Make sure you keep the manual somewhere safe, such as near the detector itself. This way, if something happens to it, you will immediately be able to tell what it means and what you should do. The exact course of action will depend on the type of detector you have. If you have one that shows the amount of monoxide, you should note this down before taking further steps. 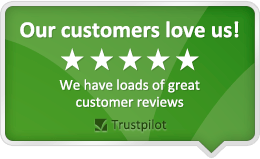 If an alarm sounds, you need to be very quick check whether anyone in your home is unwell. If they are, your first responsibility is to get them out and phone the emergency services. If they are not, you can start by switching off any appliance you have that uses a fuel other than electricity. After this, you need to ventilate your entire property and phone for specialists to detect and fix the cause of the carbon monoxide.